Set in the Victorian Era where our hair is possessed, androids attack and our singers are actually cat-skeletons, everyone is fighting for it – The SkullHeart. However, the only way to reach that is through one of the best arcade style 2D fighters known to Ladies and Gentlemen everywhere – Skullgirls!! 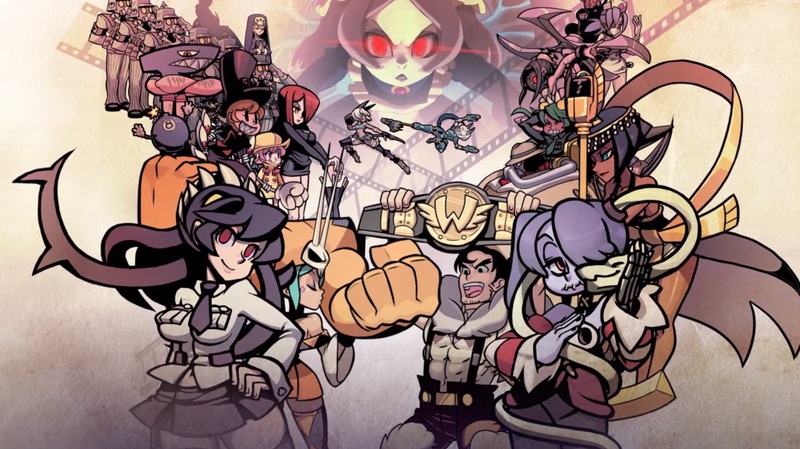 Skullgirls is a 2D Arcade-style fighting game created by Alex Ahad and Lab Zero Games. The basis of the game is that with the character you choose, you must journey through their story in order to reach the SkullHeart. The Skullheart is aThose who defeat the current Skullgirl, Marie, will be granted a wish. However, if there is any bit of selfishness within your wish, you will become the next Skullgirl(or Skullboy?). Be careful what you wish for, although, it is out of your control. The basis of the fighting mechanics is choose your character and go wild! Just kidding, Skullgirls has a lot more to offer than just a story. It has a small but unique and quirky cast of characters such as the spunky Filia and F-Fukua, the wrestlers Beowulf and Cerebella and the blue haired nurse, Ms. Valentine. Not only can you learn of these fighters through their story mode, but you can create Teams of up to 3 in Local, Arcade and Online Play. If you think you’re not ready to go full force, you can always learn a thing or two at Ms. Victoria’s Training and Practice Mode. Fighting is not all this game has to offer. Lab Zero went beyond gameplay and extensive combos to bring various eye capturing scenery and character designs. Not only that, but with a soundtrack featuring Ms. Michiru Yamane that has composed tracks from the Castlevania series, this is a game you simply can’t let go of in just a few months. You can also check out guest artwork in the Extras menu and even face one….seemingly unbeatable boss. Skullgirls is a very beautiful thing to look at, but with the various playstyles of each character and a battle system that can handle combos of up to 99, this is truly a very fun fighting game. Skullgirls is available on Playstation 3 and Xbox 360 as Skullgirls Encore and on Playstation 4, Xbox One and Steam as Skullgirls 2nd Encore. The game is at a price of $15, but with 4 DLC Characters and a costume pack you may want to purchase, the game will rise up to a price of $40(unless it goes on sale). However, if you don’t have the money for Skullgirls and are still interested in the game, you can visit my YouTube channel and watch me and my friends face off against each other! In November 2014, the well known Sonic Boom started out, and it was a bad game among the thousands of people who have played it. Instead of the next game being a console or major handheld game and related to the Sonic Boom spin-off series, Sonic Team returns and hands us a better game that BigRedButton didn’t give us. Sega, Sonic Team and Criware created the mobile game, Sonic Runners. 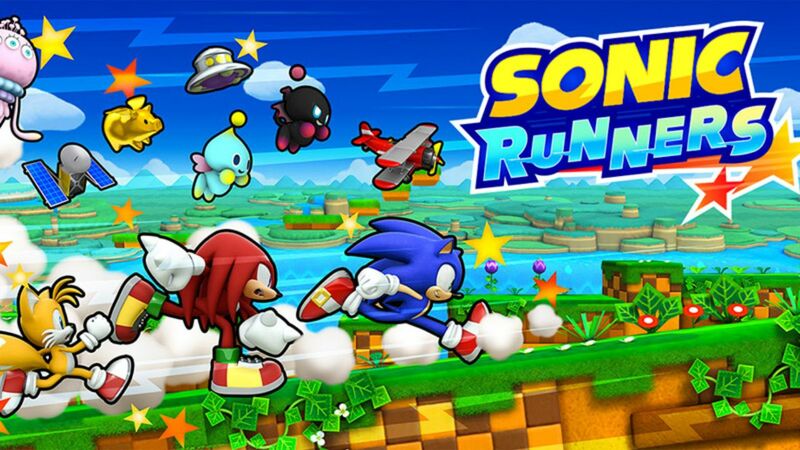 Sonic Runners is a 2D Mobile Platforming game that focuses mostly on speed and defeating Eggman to save animals. Other than saving animals, you have Tails, Knuckles and Omachao traveling with you to defeat Eggman from creating more Badniks. As you run through stages for a certain distance, Eggman will appear as a short mini-boss battle for a certain amount of time. After every mini-boss battle, Sonic and his friends’ speed also increases to make the game a bit more challenging along with many obstacles, pitfalls and Badniks. As you can normally play as Sonic, you can also play as Tails and Knuckles after completing a numerous amount of Levels. As you play the game, there is also a Roulette that gives you 3 free spins each day to let you grab items. There is also a Roulette that allows you to win companions such as Chaos, Chip from Sonic Unleashed, Caliburn from The Black Knight, and even other Sonic characters to help increase your score item usage, or play style through each level. As a 2D platforming game, you probably wouldn’t expect the game to be that spectacular. Actually, it feels like a normal Sonic game that could be on the Gameboy Advance. The gameplay is very fun and fast-paced like a Sonic game should be. The music that also comes along with the game is very amazing to listen too because it feels very upbeat, adventurous and cool even if it does reloop after awhile. Also, with the use of Wisps from Sonic Colors and Lost World, Companions and Sub-Characters the game feels very varied and fun than most mobile games. With the game being a mobile title, it is on iOS and Android devices. This is also a free to play title, so you don’t have to put any money towards the game if you don’t want to! Culture & Travel Series Post #2: Some Places to Shop! 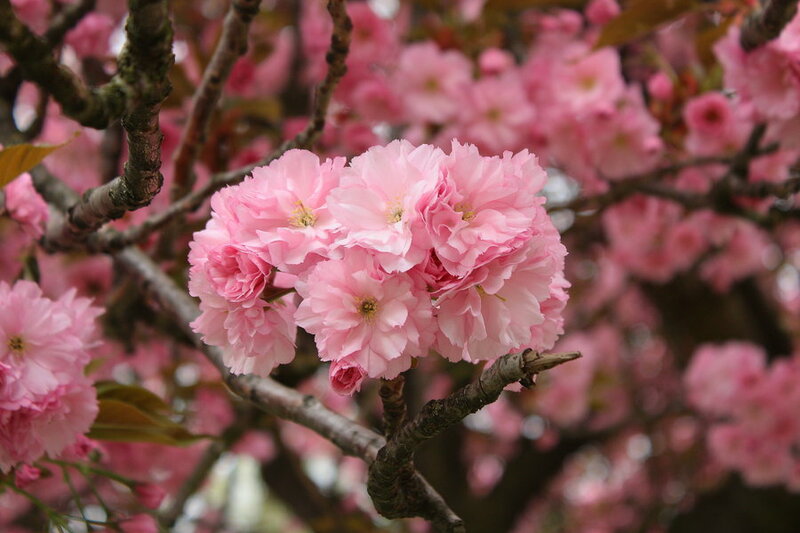 If you’re travelling to Japan and at a loss as to where to shop, look no further! This post will give you a couple of different places that are good for shopping so you can snag the best deals and the hottest products in stores. Japan has a lot of different famous malls and shopping centers that have a variety of different items. Whether you’re an electronics junky or a fashionista or just an average shopper looking for some cute trinkets, we’ve got you covered here. Ginza is notoriously hailed as Tokyo’s best shopping and entertainment district. Ginza is extremely expensive and is a host of many of the world’s famous brands, such as Gucci, Apple, Coach, Dior, Chanel, Hermes and much more. There are many things you can do in Ginza, and it’s easy to lose yourself in the district (well, time wise anyway). However, even if you’re not interested in fashion apparel, there are many other enticing buildings to visit and fancy restaurants to dine at. As well, Ginza is a hotspot for photography, especially at night when the neon lights come on or during Christmas time. With regards to the popularity of the district, the main street that goes through Ginza is closed off to road traffic on weekends (noon to 5 pm) to allow pedestrians to shop without worrying about automobiles. In any case, let’s check out some of the cool places you can stop by in Ginza. This building is about 4 stories tall and has been sitting in Ginza since its opening in 1982, making it an icon of the district. Although toys may not exactly be the most exciting thing to shop for, rest assured, that’s not all to the Hakuhinkan Toy Park. The store tries to be tourist friendly with its usage of English and its convenient locations. The Hakuhinkan houses a number of toys that originate from Japan, America and Europe. The store does not contain otaku products (e.g. anime figurines) and instead, targets a much younger audience. Despite this, there are many cute trinkets and cool toys to mess around with, so I would say the Hakuhinkan is well worth a visit. Embrace your childhood at the Hakuhinkan Toy Park! Are you a fan of stationary or someone who loves to visit beautiful buildings? Well, Ginza Itoya is just the place for you! The store is filled with lots of stationary goods that will make you drop your jaw in awe. The building has many floors, and each floor has something different for you to enjoy. At Ginza Itoya, you can write and send letters, find the perfect souvenir (you can even make your own custom notebook for someone), purchase the perfect sheet of paper (there are many different types, colors and textures available) and even enjoy the Cafe Stylo located on the 12th floor – which even grows fresh vegetables locally (with delivery)! It is safe to say that Ginza Itoya isn’t just a regular store, and even if you aren’t there to buy something, you can simply enjoy the view from the interior. Ginza Itoya is not far from a museum that displays stationary, so if you are interested in this sort of thing, go pay Ginza Itoya a visit! 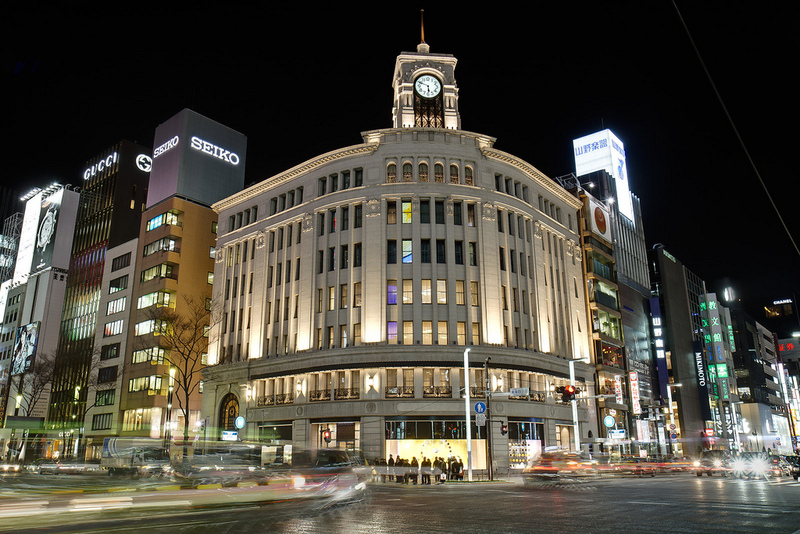 Ginza Wako is a large department store located in the district which was established in 1932. It is widely known for its wide selection of watches, jewelry, chocolate, porcelain and handbags. As well, the building carries an art gallery called the Wako Hall and it is home to a variety of restaurants and cafes. The building is modeled after a Neo-Renaissance style, and overall is a fascinating building. If you are interested in kabuki, then the Kabuki-za Theater is the best place to visit while you are in Ginza! The theater, with its 1800+ seats, allows for a breathtaking experience nearly every evening. The theater and its plays will definitely give you the best bang for your buck. Whether you are a tourist or a local, you will be surrounded by Japanese culture and be entertained for some hours! You can either purchase tickets for individual acts or for the entire play. Finally, in general, Ginza has a lot of different places to explore besides the ones listed above. For starters, the nightlife in Ginza is very active with its many bars, lounges and clubs to hit (intended for mature audiences only). There are also many art galleries, fine dining restaurants and cafes to visit. As well, there is a large Sony product showroom in located in Ginza that not only displays some of its products, but is also a store where you can purchase Sony products. The Sony building also contains a number of restaurants and event spaces. If you aren’t looking to spend too much money, Ginza is also a great place to go window shopping and is overall a great tourist attraction. The experience is well worth it, so why not pay it a visit? Roppongi is renowned for its active nightlife for foreigners. The district has many different restaurants, clubs and bars that are all tourist friendly. However, that’s not all the area is good for. With the developments of Roppongi Hills and Tokyo Midtown, the district has become overall more luxurious and popular. Roppongi also houses a few known art museums, making the district a hotspot should one wish to immerse in a more cultural experience. Mori Tower at Roppongi Hills. Source. The Roppongi Hills is a large building complex that features a number of offices, hotels, restaurants, shops, art museums, an observation deck and more. With its offices being occupied by many leading companies from the IT and financial industries, Roppongi Hills has become a symbol of the industry. The Roppongi Hills houses a 238 meter tall building known as the Mori Tower, which offers not only a couple of offices, restaurants and shops, but also an open air observation deck on the roof of the building, giving any visitors a breathtaking view of Tokyo. However, be aware that the deck may be closed due to extreme weather. Besides the tower, Roppongi Hills also houses the Mori Art Museum, a number of stores and restaurants (over 200 of them! ), the TV Asahi Headquarters and the beautiful Mori Garden. Overall, the Roppongi Hills is a great place to spectate a calming scenery, shop for clothes/accessories/home goods/etc., immerse yourself in a cultural experience and a nice place to live. The Tokyo Midtown, like Roppongi Hills, is also a large building complex. The most renowned building in the complex is the Midtown Tower, which is a gigantic skyscraper that contains over 35 floors of office space and 9 floors of hotel space. The Midtown Tower houses a number of offices for some famous companies, such as Cisco Systems, Hudson Soft, Yahoo Japan and much more. The tower also has the Ritz-Carlton Hotel, which is an extremely expensive but elusive hotel. Unfortunately, despite its authentic 200 year old Japanese teahouse and its large spa and fitness facility, the hotel is also notorious for its $20,000 USD Presidential suite. Aside from the Midtown Tower, Tokyo Midtown also two large places to shop in- the Galleria and the Tokyo Midtown Plaza. Both of these places have an incredibly wide variety of stores, such as restaurants, CD shops, fashion stores, pet shops, book stores, interior design products, other services and more. If you are an art lover, it is also recommended if you pay the Suntory Museum of Art and the 21_21 Design Sight gallery a visit, the latter of which was created by fashion designer Issey Miyake and architect Tadao Ando. Actually, Japan’s largest art museum is also located in Roppongi! The National Art Center Tokyo has no permanent display and instead, exhibits pieces temporarily that are sponsored by other organizations, which should be incentive enough for one to revisit the museum from time to time. Also in Roppongi are a number of clubs, bars and lounges for those who wish to dive into the daring nightlife. Much of the nightlife entertainment is targeted towards tourists and are easily accessible. Takeshita Dori in Harajuku. Source. Harajuku is most famous for Takeshita Dori (Takeshita Street), which is a narrow street that is surrounded by a number of stores. The street is targeted mainly towards teenagers and youth. The street is filled with many clothing stores, restaurants and cafes. The street is usually extremely busy and crowded, especially on the weekends. The Omotesando Street is lined with upscale boutiques (e.g. Chanel, Prada, Dior, etc) and is home to a legendary toy store called Kiddyland, which contains a VERY large variety of toys suited for kids and adults alike. As well, there is a shopping center and apartment called the Omotesando Hills. In any case, Takeshita Dori is a street that you will need to see for yourself. There are a large number of fashion stores that sell trinkets, clothes and accessories. There are also cafes, restaurants and fast food chains (like McDonalds) that can be found if you ever need to take a walking break (trust me, if you are looking to shop, you WILL be standing for a very long time). As well, you can also find a Daiso Store in Harajuku, which is one of the most famous 100 yen shops in Japan. The store carries a number of snacks, refreshments, trinkets, stationary, utilities, tools, toys and much much more. If you are looking for some cheap, but memorable souvenirs, Daiso likely has what you need! Overall, even if you are an avid shopper, Harajuku & Omotesando will only take a day to shop at. While it may seem like there is a lot to be seen, there really isn’t – there’s just a lot of walking and standing involved! I would definitely recommend shopping at Harajuku if you wish to pick up some fashionable outfits though. Remember to bring LOTS of water and refreshments to keep yourself hydrated, especially in a crowded area like Takeshita Dori. Beautiful scenery of Shinjuku at sunset. Source. Shinjuku refers to the large entertainment and shopping district around Shinjuku Station. The station is the world’s busiest station with over two million customers per day. The district houses a very large variety of stores, services, entertainment venues, restaurants, bars, hotels and much more. The entire area is breathtaking and easily one of the coolest places to visit in the world. Whether its the shopping in the daytime or the partying and scenery during the night, there are lots of places to explore while in Shinjuku that you wouldn’t want to miss! Overall, there are too many places to list due to the size of the district. However, do know that Shinjuku contains a lot of stores that surround the area, ranging from fashion stores to electronics shops. A couple of good department stores to visit include Keio, Odakyu, Lumine and Mylord, while a few electronics stores worth visiting are Bic Camera (very famous throughout Japan), Yamada Denki and Yodabashi Camera. You can also find the Tokyo Metropolitan Government Office, the Japanese Sword Museum (if you are a sword enthusiast, this was literally made for you) and the Central Park all in Shinjuku. There is also a Koreatown located in Shin-Okubo, which is essentially a one-stop area for many Korean goods, such as K-Pop music, Korean goods, videos and groceries. Nightlife is very active in Shinjuku. The most famous area would be Kabukicho, a very popular red-light district that offers many host and hostess clubs, bars, love hotels, nightclubs, stores and restaurants. At night, Kabukicho offers a spectacular view with its beautiful lighting, despite all of the yakuza activity that goes on in the background. When you are visiting, be sure that you stay safe and bring enough cash with you, as some places may not accept credit cards. As well, because of the bad reputation that comes with red-light districts, always monitor your own safety and make sure none of your drinks are spiked, as tourists are very easy prey. In any case, Kabukicho should not be particularly dangerous, and is a very exciting place to visit. All of this information also applies to another famous nightlife area called the Golden Gai. Finally, there is also a gay district in Shinjuku, most famously called Shinjuku Ni-chome. Like the other red-light districts, Shinjuku Ni-chome (often referred to as Nicho colloquially) also offers bars, love hotels, host clubs, massage parlors and much more. However, due to the controversy regarding the LGBT scene in Japan, the amount of visitors is not extremely big, but there are still quite a few people looking to hook up anonymously to hide from the social stigma. Nonetheless, if this is not up your alley, feel free to ignore this chunk of text. Like Shinjuku, Shibuya is also an incredibly busy district. Shibuya is covered with shops, entertainment venues, nightclubs and some of the most beautiful lights (many buildings are plastered with neon billboards and video advertisements). Shibuya is great for youth fashion and culture, where many shops are well known and trends are born. As well, the famous Hachiko Statue can be found near the station’s Hachiko Exit. Overall, even if you are not looking to shop around, Shibuya is still a great place to visit and to snap some camera shots. In particular, the Center Gai – which is packed with stores with the newest trends, game centers, boutiques, bars, and restaurants; and the Koen Dori, which is a popular shopping street – are both places I would recommend one to visit. Some very well known department stores around the area are Parco (which you can access through the Spain Slope), Tokyu, Seibu and Loft. They are all packed with either fashion goods or other miscellaneous items (souvenirs, stationary, food, books, electronics, etc). If you are interested in getting spicy in Shibuya with someone else, you can also choose to visit the Love Hotel Hill, which is lined with love hotels that you can stop by. Finally, you can also get a taste of Japanese culture if you visit the Bunkamura, which has a concert hall, a theater, a couple of cinemas, a museum and some shops and restaurants. Akihabara, also affectionately referred to as Akiba, is a famous district known for its electronics shops and more recently, for its otaku subculture. Akihabara is a must-visit destination for those who are into electronics. In Akiba, they sell everything related to electronics, ranging from small electronic parts to high-end computers. A few of the most famous electronics shop chains can also be found around Akiba. However, even if that’s not your thing, you can also find a handful of one-man kiosks that sell electronics parts. However, be aware that there may be some voltage differences should you wish to purchase electronics and take it overseas. As well, Akiba is the very district where the highly popular AKB48 idol group was formed! Besides the electronics, Akiba also has a reputation for its otaku subculture. Many shops around the area sell anime/manga, magazines, anime/manga goods, video games (retro and modern), card games, and other various collectibles and merchandise. You can also find a number of manga or maid cafes, arcades, and on occasion, you may even run into an anime related event in the middle of the streets. Basically, it’s a paradise for those who love all things anime/manga/game related. If you are a fan, you will definitely want to visit Akiba. A few of the must-see large electronics shops are Sofmap, Yamada Denki and Yodobashi Camera. These are essentially all one-stop shops for computers, cameras, cellphones, games and other miscellaneous electronics. Each of these stores are multi-floor and have lots to offer – and many of the products are quite cheap for what they’re worth! However, if you are not looking to shop around in the big buildings, there are also some small kiosks around the area that sell individual parts or even secondhand goods. Even if you are not looking to buy anything, the area is still well worth the visit. Recently, Akiba has become a hotspot for otaku merchandise and events. Akiba is packed with shops that sell merchandise, anime, manga, light novels, figurines, collectibles, posters, games and much more. The district also has many maid cafes and manga cafes around the area to explore. There are also buildings that allow for playing card games for those who are interested. As well, if you are lucky (or unlucky), sometimes, you may run into a live event in the area. Let’s also not forget that Akiba is also where the internationally recognized idol group, AKB48, was formed. In fact, there is even a cafe directed towards AKB fans! In any case, if you are looking to pick up the latest and hottest anime/manga goods, I would highly recommend visiting Gamers and Mandarake. These shops are packed with all kinds of goods, the latter of which is a great place to find rare merchandise. In addition, you can also consider visiting the Tokyo Anime Center, which holds anime related exhibitions and a shop that sells anime related goods. Those who are avid gamers looking to visit Akiba, I would not hesitate to pay a visit to Super Potato, which is a shop that sells all types of games and game consoles, even retro ones. Odaiba at night. The Rainbow Bridge can be seen from afar. Source. Odaiba is a beautiful man-made island in Tokyo Bay. It is also a popular shopping and entertainment district with lots to offer. Odaiba is also an incredibly popular tourist attraction nowadays, with its beautiful scenery, large shopping centers and the famous massive Gundam Statue. Let’s not forget that the Tokyo Big Sight – where Comiket is held biannually – is also on this island. Whether it’s shopping, sightseeing or exploring, Odaiba is definitely a great place to visit. And psst, did you know? If you are a car fanatic, you can also give go-karting a try or visit the car museum! Palette Town (sounds like Pallet Town from Pokemon, doesn’t it?) is a famous shopping and entertainment center in Odaiba. Inside of it is a European inspired mall called the Venus Fort that features over a hundred shops, restaurants, boutiques and cafes. The Venus Fort is mostly aimed towards those who are into fashion and wish to buy clothes, accessories, handbags and the like. Another mall in Palette Town is called Leisureland, which is an entertainment complex packed with arcades, various sports games, a haunted house, karaoke and a food court. As well, the Toyota Mega Web is also located in Palette Town, which is essentially a showroom for all of Toyota’s latest models, car accessories and the whatnot. If you have a valid Japanese driver’s license, you can also test some of these cars out. Finally, Palette Town also has a gigantic Ferris Wheel that takes 15 minutes to complete a revolution. The Ferris Wheel measures up to 115 feet tall and is one of the world’s largest Ferris Wheels. Are you a Gundam fan? If so, you should pay a visit to the gigantic Gundam Statue that stands in the middle of the DiverCity Tokyo Plaza! While the plaza is packed with restaurants and shops, many people love to have their pictures taken with the Gundam Statue as a memorabilia. The plaza also has a shop completely dedicated to the Gundam series, so don’t forget to check that out as well if you’re into it! One of the best places to visit on Odaiba would be the Tokyo Big Sight. The incredibly famous biannual Comiket is held at this venue each year, and the turnout at every event is huge. The Tokyo Big Sight is Japan’s largest convention center and exhibition hall. Even if you’re not looking to attend Comiket, the Tokyo International Anime Fair and the Tokyo Motor Show are also held here. Also in the vicinity is the Panasonic Center, which is a showroom for various products developed by Panasonic. The showroom displays many of the company’s technologies, such as cameras, TVs, computers, games and more. Overall, Odaiba is definitely a great place to visit. Besides the landmarks listed above, there is still so much to explore on the island. The Rainbow Bridge is a real treat for those passing by during the nighttime – after all, it is called the Rainbow Bridge. The island is packed with shopping complexes, showrooms, museums and outlets that make the trip all worth it. Finally, Odaiba is also home to the headquarters of Fuji TV, one of Japan’s most popular and well known TV broadcasting networks. There is also a shop over at the building where you can pick up a number of Fuji TV goods. As well, the building also has an observation deck to enhance your sightseeing adventure. Ikebukuro Station at night. Source. Ikebukuro, like the rest of the places to visit above, has a lot to offer in terms of shopping and entertainment. The whole area is packed with attractions. Ikebukuro also has its own otaku subculture; however, Ikebukuro caters more to female otaku, unlike Akihabara. Ikebukuro Station is usually full of customers each and every day (especially during the rush hour), so be careful while you are shopping! In any case, there are lots of department stores hanging around the area. The most well known ones are Marui, Tobu and Seibu, so I would definitely recommend visiting those. If you are big into electronics, two famous electronics stores are also nearby (Bic Camera and Yamada Denki). If those don’t interest you, you can also check out Sunshine City, a complex that comes with an observation deck, an aquarium and two indoor theme parks. Finally, if you are an otaku and wish to check out the culture around the area, there are also cosplay shops, manga/doujinshi shops and the famous Otome Road nearby. Overall, there are many places you can visit in Japan for shopping and entertainment purposes. Of course, there are many, MANY other places you can explore besides the ones I have picked above. Japan is full of shopping opportunities and fun places to go to. While you are in Japan, I would also recommend visiting an amusement park or attending any sort of event going on to learn more about the culture. Shopping is not all there is to Japan! We, at Japan Codes, will also be covering some of the best tourist attractions around Japan in a separate blog post. The possibilities are endless. Today we are introducing Instant Delivery Guaranteed for everyone. What is Instant Delivery Guaranteed for everyone? While we already provide Instant Delivery for our verified customers, from today, we guarantee the same service to all of customers. Everyone regardless of their verified or unverified status will get their gift cards/gift codes delivered to their inbox instantly once the payment has been completed. How Fast is Instant Delivery? It should takes less than 300 milliseconds (less than a third of a second) for the delivery email to be sent out. However, since it also depends on how fast your email provider’s server is, it may take up to several seconds. Is there a first time customer verification? No, everyone means everyone, including your very first order from us. However, if your payment is flagged as potentially suspicious (one such flag for this would be accessing our website with a VPN), we will then require personal documentation for further verification. Do I need to send in my personal documentation for verification purposes? Unlike other stores, we don’t require submission of your government ID card or any kind of your personal documentation unless your transaction is flagged as potentially suspicious. So as long as you are not up to any funny business, you will not be asked to provide any form of verification. Do I need a phone number for verification? We won’t call nor send you a text message to verify your phone number. You don’t even need to give us your phone number to make a purchase from us. Are orders going to be processed manually still? No, orders are verified automatically. There are no limits on how much you can purchase per day, per week or per month. This also apply to first time customers as well. Finally… aren’t you afraid of potentially fraudulent activities? Like all e-Commerce stores, of course we hate facing those sort of situations, but we aren’t afraid of it. We have our own way to prevent fraudulent transactions from deterring us. We want to prioritize our customer’s experiences over ourselves. Start shopping now and get your code in less than a second! Now that we’ve covered all of the Ultimate Ninja console games that have been released, its time to talk about the next installment in the series: Naruto Shippuden: Ultimate Ninja Storm 4. 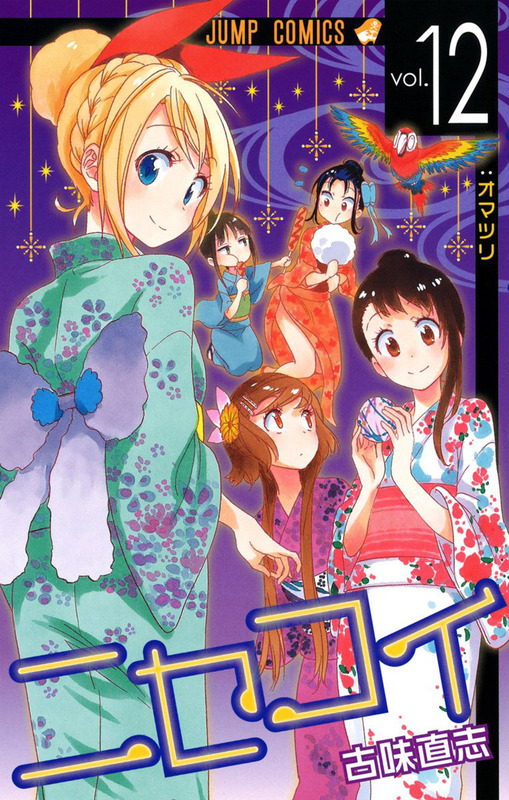 With the original manga already over and the anime also nearing its end, its time for the games to maybe come to a close as well. 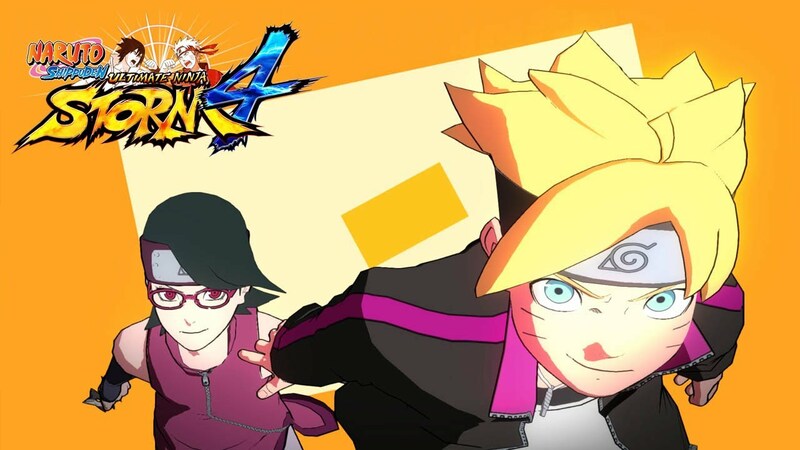 On December 14 of last year, Weekly Shounen Jump magazine and Bandai Namco Games announced Naruto Shippuden: Ultimate Ninja Storm 4. At that time, what the game would offer was only speculated. However since then, we’ve been given a lot of information on the games. Since December 19th info of the game from Matsuyama, a producer of the series from the CyberConnect 2 developer team, has been given out. Before going into game mechanics and the story, Matsuyama stated that he apologizes for thinking that America and Europe didn’t truly care for the story. He says that Storm 4 will continue the story and put even more depth into it. Also with the developers now working with Xbox One and Steam, they are always seeing what they can do to please their fans outside of the Playstation format. They’re also trying to see what they can do after the game launches to keep the longevity of the game. On December 21st, the first trailer was released. Within the trailer shows Hashirama Senjuu and Madara fighting in a dynamic battle that goes beyond the anime’s expression. The next trailer was released on April 12th, showing Naruto, Sakura and Sasuke fighting in gigantic battles with each of their summons in a short gameplay cinematic. 17 days later, more information from Matsuyama and Bandai Namco Games was released. With game mechanics, there will be new features implemented and a few leaving. The Leader Change System makes a big change to how the Storm series has worked. Instead of only having your support characters support you, you can now switch the leader between gameplay and they will retain all of their mechanics as if you were playing them from the start. More Combination Ultimate Jutsus will be available with certain characters, but mostly with pairings based upon the story. Matsuyama excitedly stated that with fan feedback of the Guard Break and Counterattack features, the team is trying their best to balance the game. Not only that, but with the three battle systems that were put in Revolution, Matsuyama was attacked from all sides and said that the separation from Ultimate Jutsus, Awakenings and Drives will no longer be. With the manga series finished, the game’s story mode will continue all the way to the climax of the series with a high-unseen-level of animation. With the success of The Last: Naruto The Movie, some of the movie will be implemented into the game. Not only that, but there are plans to give Hinata’s sister, Hanabi, a big role as she is more gifted than her older sister. Matsuyama states that they are planning something special with the online mode of the Storm 4 that will further the longevity of the game even after clearing it. As we are heading to the end of the retrospective, we still aren’t done yet. 2 weeks ago at Gamescom, a new trailer of Storm 4 was shown and right off the bat we see the son of Naruto and Hinata: Boruto and the daughter of Sakura and Sasuke: Sarada. With a fun trailer and upbeat music, we also see older Naruto, Sasuke, Sakura, Hinata and Kakashi duking it out! However to get early access to all of these new characters, you must pre-order the game. Other than that, the storm rages on as characters old and new, last generation and current generation, friend and foe battle to become the Ultimate Ninja! Matsuyama, Masashi Kishimoto and everyone else at the development team of this game knew of the future of Naruto. Even with them knowing everything, they were just as surprised and saddened with the end of the Naruto series. 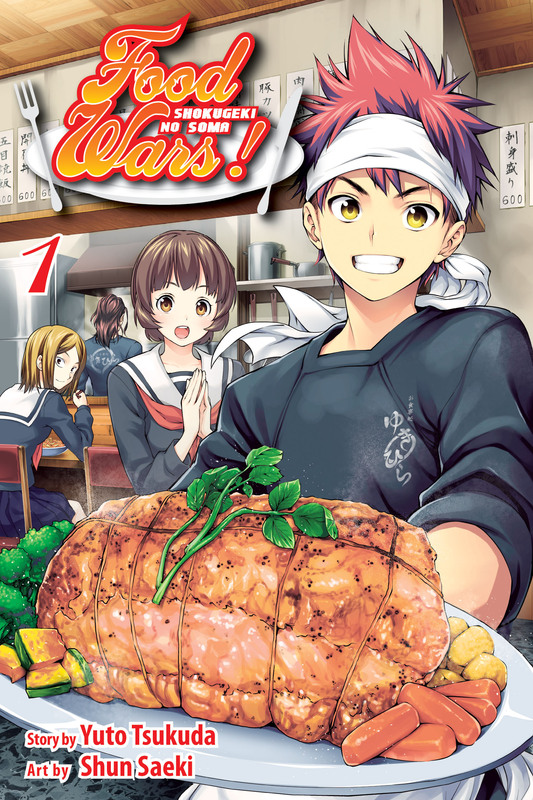 However with the spin-off manga recently starting up, the world of Naruto is still expanding. Wether or not a game will feature the new age of Naruto is unknown. We have no idea what the far future holds for us, but the near future holds Naruto Shippuden: Ultimate Ninja Storm 4. The Perfect STORM is coming and releases this Fall 2015 for PS4, Xbox One and Steam. You can purchase prepaid cards from us for when the game releases. Otherwise, this is the end of the Naruto Ultimate Ninja Retrospective.